Once a darling of emerging markets investors, Turkey has plummeted into chaos after last weekend's attempted coup. Dozens of big Western companies and brands have billions of dollars on the line. 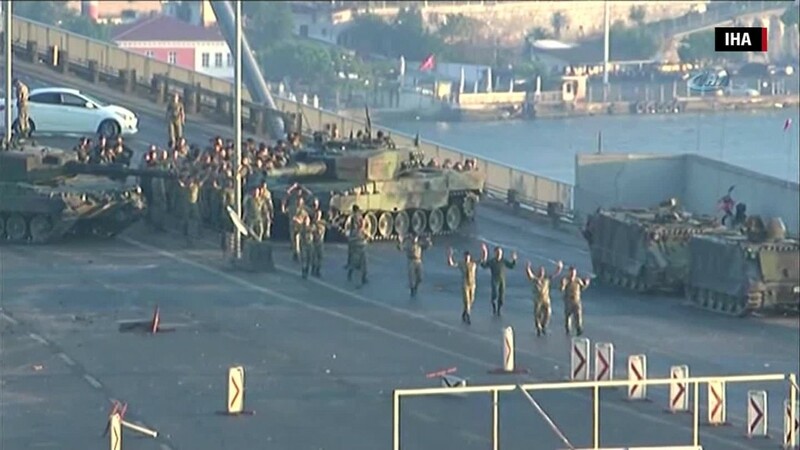 About 50,000 people have been fired or suspended from their jobs in a government purge, battering the country's security forces and many of its democratic institutions. The lira has plunged 5% against the dollar. It declined to record low of $0.32 on Wednesday, after the rating agency S&P downgraded Turkey further down the "junk" territory to BB/B grade. S&P rival Moody's has placed the country on review for downgrade. Ford (F) has spent $1.6 billion building factories in Turkey, making the country its number one location in Europe. The company has a partnership with Turkish holding company KOC Holding AS. With over 10,600 staff, Ford is the biggest employer in the Turkish automotive industry. 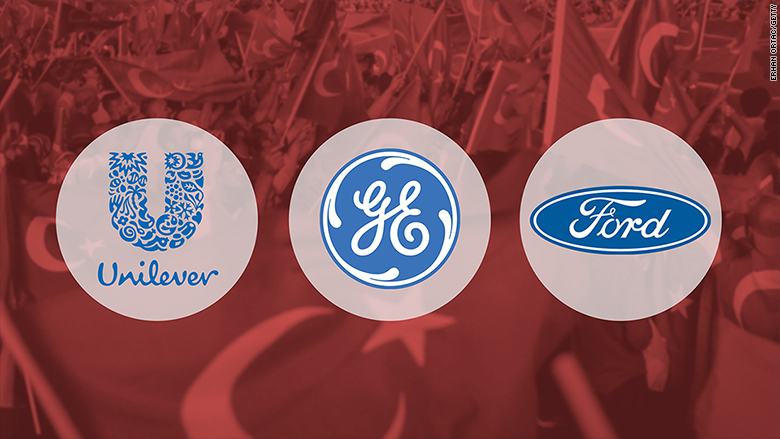 In 2012, General Electric (GE) announced a three-year $900 million investment program in Turkey. GE has supplied turbines for wind farms in the country, built locomotives, and set up local manufacturing of aviation engine blades. Unilever (UL) opened a €95 million ice cream factory in Turkey in 2013, and a €150 manufacturing plan is set to open this year. None of the companies responded to CNNMoney's request for comment. Other western companies have also poured hundreds of millions of dollars into the country. Among those are Siemens (SIEGY), Procter & Gamble (PG), Mondelez International (MDLZ), Danone (DANOY), Pepsi Co (PEP), Bosch, and Carlsberg (CABGY). Turkey said it received over $16 billion in foreign direct investment last year -- its highest amount since the global financial crisis. But analysts said the coup is likely to deter future investors and hamper expansion plans of those already in the country. "These foreign companies in Turkey are likely to be a major driver of productivity growth and ultimately rises in living standards," said William Jackson, senior emerging markets economist at Capital Economics. "So if they cut expansion plans, it bodes poorly for growth prospects," he added. Turkey is heavily dependent on foreign money. And because that money has kept pouring in, the nation's economy has grown substantially in recent years. The forecast for 2016 had been 4%. But the International Monetary Fund and other economic institutions have warned Turkey that its addiction to foreign money is unsustainable. And the current government crisis has cast a long shadow over its prospects.